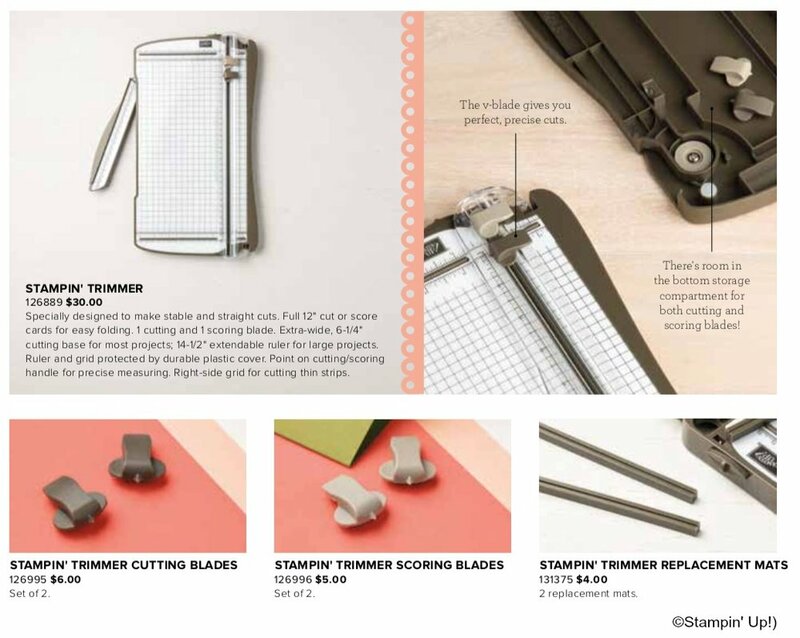 Tools are so important in paper crafting and I wanted to share with you information about the Stampin’ Trimmer. It allows you to cut and score and fits 12x12 paper. Here’s a quick video to show the highlights of this tool from Stampin’ Up! Tomorrow I’ll give you some tips and share standard measurements for making cards with layers. You can click on the products below to purchase them on my online store.